Invader 2/3 by Teslacigs is a powerful box MOD that can be powered by dual or triple 18650 batteries to reach up to 240W or 360W power. The Invader 2/3 box mod has a potentiometer control knob and you can adjust the voltage from 3V to 8V. The stylish carbon fiber style appearance offers a great hand feel. 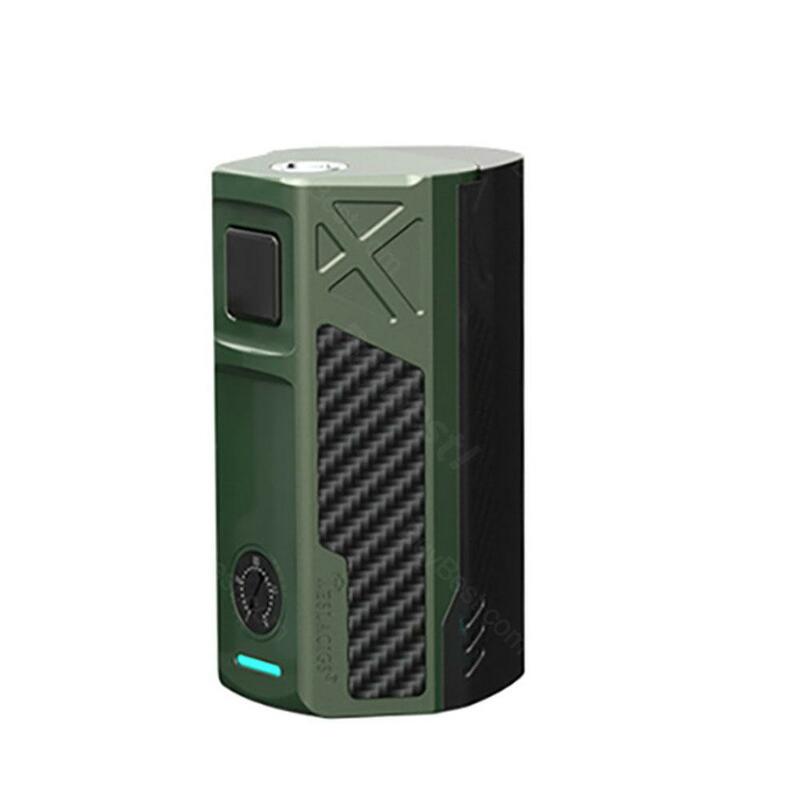 Tesla Invader 2/3 is a compact and stylish box mod following Invader III. Just like its name, the Invader 2/3 supports maximum output power of 240W/360W when accepts dual/triple 18650 batteries. It has a useful potentiometer control knob that you can adjust the voltage from 3V to 8V. You can check the battery status directly with a LED indicator. Various protections will ensure a safer vaping experience. The Tesla Invader 2/3 is suitable for those who prefer low resistance and cloud of vapor. I have been using it for quite a while now. No issue so far. Hard hitter and the 510 connector is reliable. The 510 is great, the batteries go in and out pretty well and the magnets on the door are awesome. It feels good and well made. Batteries fitted easily and you will enjoy the great flavor and clouds. The power button just feels right for my thumb and gives a good positive connection. Very great Mechanical Box! Simply to use and great build. Tesla Invader is the best mod I've owned. It is great to have two batteries and it feels good in your hand.